Electronic pioneer and Kiev based producer Histibe goes back to his Drum & Bass roots to bring you his very own unique complex sound which he has developed over the past decade. Loaded with lithe agile beats, scorching bass, searing leads and dark otherworldly textures, we proudly present Dark Twisted Drum & Bass Ft. Histibe. Histibe has received support from artists such as Noisia, Skream, State Of Mind and has released tracks on legendary drum & bass labels such as Nerve Recordings and Offkey. In 2014 he released the album Millennium Drum N Bass. The official video for the track “So Far” was released on Jay Z’s Life+Times channel and the latest D&B video for the track “Third Millennium” was released on world famous D&B network – UKF, which has amassed more than 120,000 views to date. Clocking in at a mighty 361 WAV/Apple loops at 172bpm, 156 MIDI files, 107 One-Shots and 6 Multi-Sample Drum Kit Patches. Formats include NNXT, Kontakt 3, Live 9 Sampler, Halion, EXS24 and SFZ formats. To celebrate 5Pin’s 5th birthday there is also a Live 9 Project featuring 20 bonus bespoke Macro driven Instrument Racks forged out of 216 multi-samples. As expected, all of the MIDI and Audio files are well organised and clearly labelled with part and musical key information for quick and easy browsing. 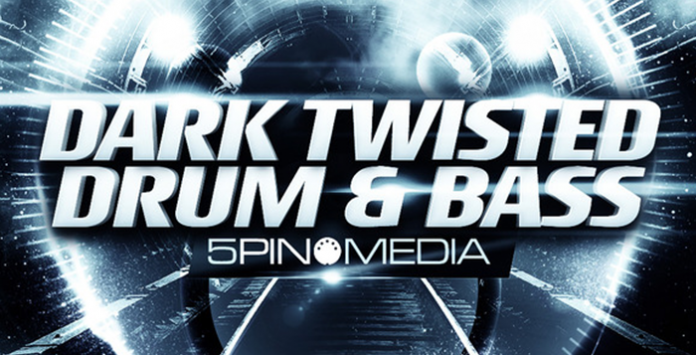 5Pin Media – for producers looking to push and test new boundries through the flexibilty of MIDI combined with high quality original sounds.